It was a collision of worlds: on-the-ground activists from across the country and archivist/academics in the same space for four days. 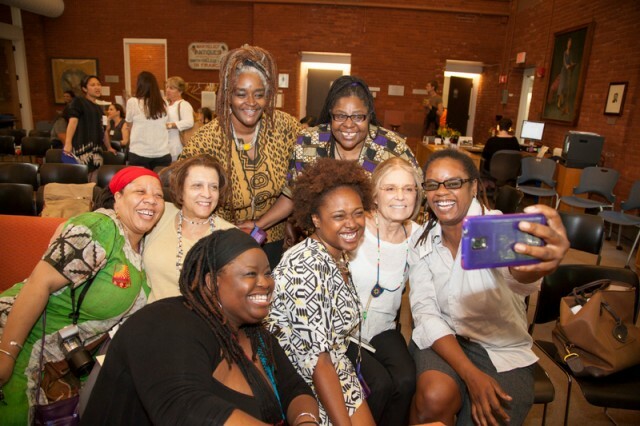 It was an exploratory group brought together to help shape the future School for Organizers that was a dream of Gloria Steinem and Wilma Mankiller, a dream placed on the campus of Smith College in Northampton, Massachusetts, because its Sophia Smith Collection houses a treasure trove of information about past activism. In the end, the activists found examples from the archives that could inspire them and keep them from reinventing the wheel, the academics were thinking about how to make their work more useful and understandable to activists in the present, and all valued being able to talk and explore together. That’s exactly what the Gloria and Wilma School for Organizers had hoped for in this first gathering in late June. 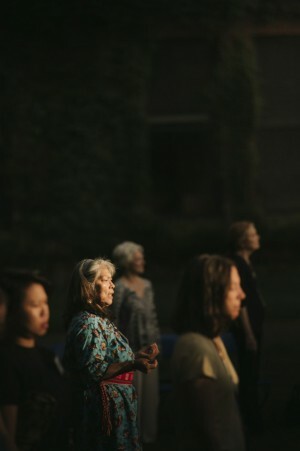 Fifty-two activist participants who work in the areas of reproductive justice, economic justice, and indigenous cultures and sovereignty came to the campus both to explore the history of their movements and to understand that they themselves are creating history every day. Joyce Follet and Sara Gould are now co-directors of the Steinem Initiative at Smith, which in addition to the School for Organizers has a Public History component, making women’s stories available; and expanded curricula for students at Smith. Gould’s reaction to the first session of the school: “I’m so pleased by the extraordinary connections among participants, who, given varying areas of movement work, might never have met, and shared skills, except for the School.” Follet elaborated that it was “sometimes rocky, it was hard, people groped their way towards the channels of communication.” But in the end, they made it. The Gloria and Wilma School for Organizers will run for two more years in this pilot phase of the work. Sophia Smith archivists will be working with the organizers year-round to assist in the research—and continued making of history. ← Take the Lead Women–By 2025–How?